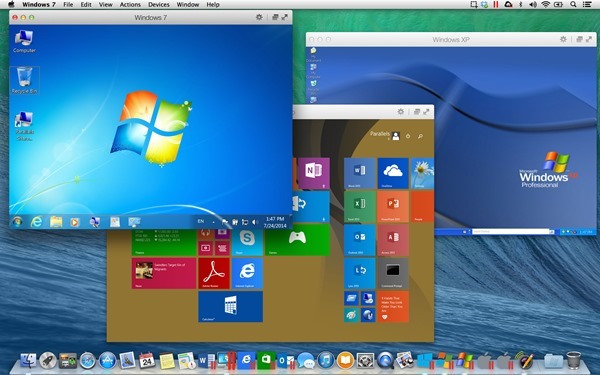 In the world of hardware virtualization, Parallels is arguably the biggest player on the Mac. Being able to use a Mac computer full time but still dabble in Windows when needed can be a pretty powerful thing, especially if you develop apps for Microsoft’s platform, or just need to use an app that doesn’t yet have a Mac version. As much as Apple wouldn’t like to admit it, sometimes you just need to use Windows for some things. 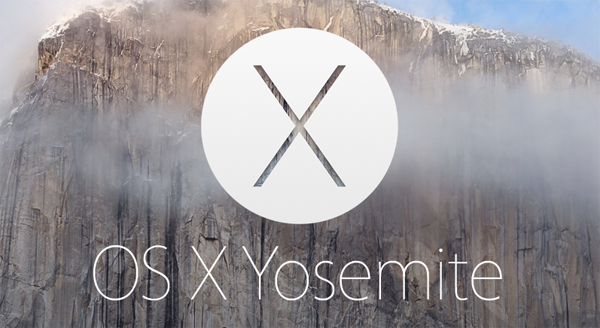 Parallels knows that, and with Apple expected to ship OS X 10.10 Yosemite soon, the virtualization company has announced Parallels Desktop 10. Available now for existing customers and from August 26th for new users, Parallels Desktop 10 brings with it a host of new features based around Apple’s new operating system, not least support for it as a whole. – Now with one click users can select from a number of choices to optimize their virtual machine based on what their primary usage is: productivity, games, design or development. 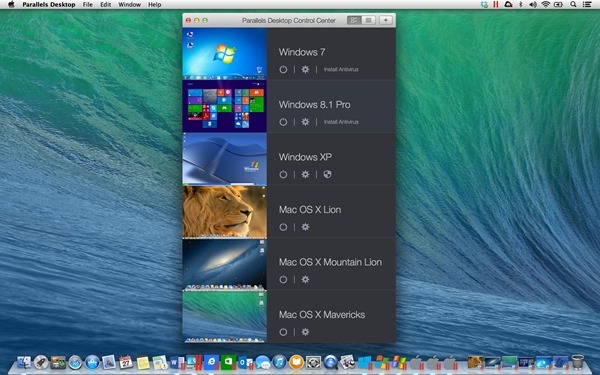 – The new Parallels Control Center is a one-stop-shop for managing Parallels Desktop; it allows users to manage all their virtual machines and configuration settings from a single place. – Users can share files, text or web pages from Windows using Internet accounts configured on their Mac such as Twitter, Facebook, Vimeo, Flickr; or send them via email, AirDrop and Messages. – Users can drag and drop files to Mac OS X virtual machines. – Users can now open Windows documents up to 48 percent faster. – Battery life is now extended by up to 30 percent, giving people additional work time when they need it most. Yosemite integration is without a doubt at the forefront of Parallels Desktop 10, with the app’s change log littered with references to Apple’s next big thing. Support for Yosemite’s iPhone telephone calling as well as the highly anticipated iCloud Drive are all there, and Parallels has also added a new Control Center for managing virtual machines and their settings. Importantly for those who live on the road, Parallels Desktop 10 also manages to extend battery life by up to 30%, which can be a big deal if you have work to do and are nowhere near a power source. Upgrade pricing for customers currently using either Parallels Desktop 8 or 9 is $49.99, with a full retail license costing $79.99. If you’re a student then you can get that same license for $39.99, which is quite the bargain if you ask us. Buyers of Parallels Desktop 10 will also receive a free three-month subscription to Parallels Access, which allows users to access their virtual machines from their iPads.